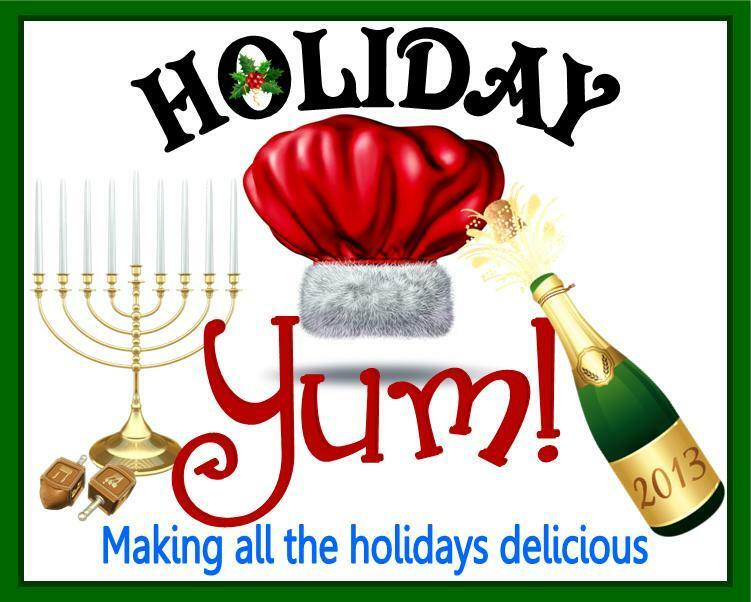 Welcome to the next installment of Holiday Yum, our Holiday recipe blog hop series! For the entire schedule, click here. Today, I have a classic recipe from my childhood: butter spritz cookies. I make it every year. 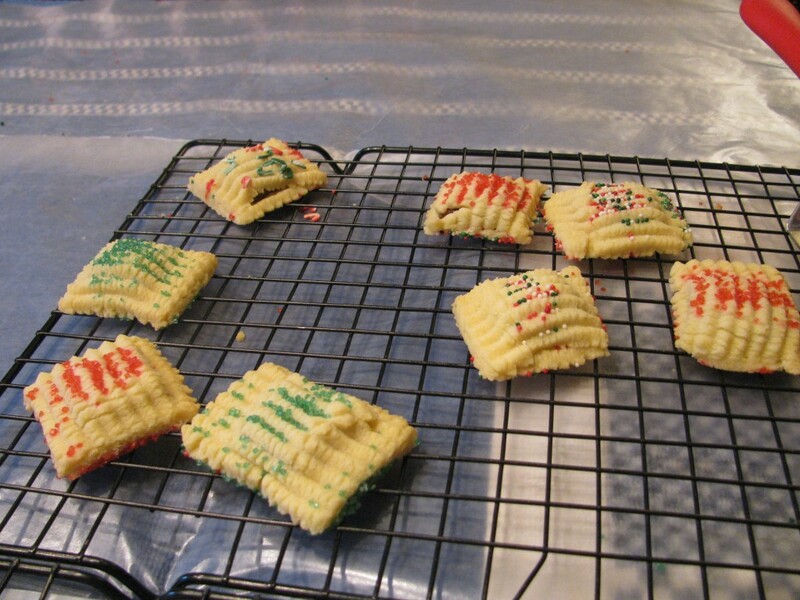 It only requires a few standard ingredients, and it can give you an assortment of different-looking cookie styles. 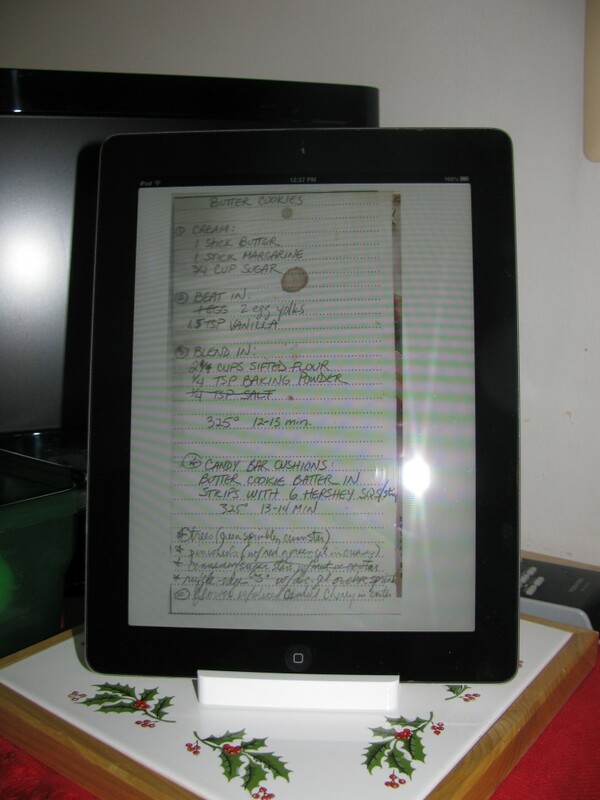 But now I have a more tech-y twist on recipe-reading. Can I just say that I love the early Christmas gift my hubby and I gave each other this year? 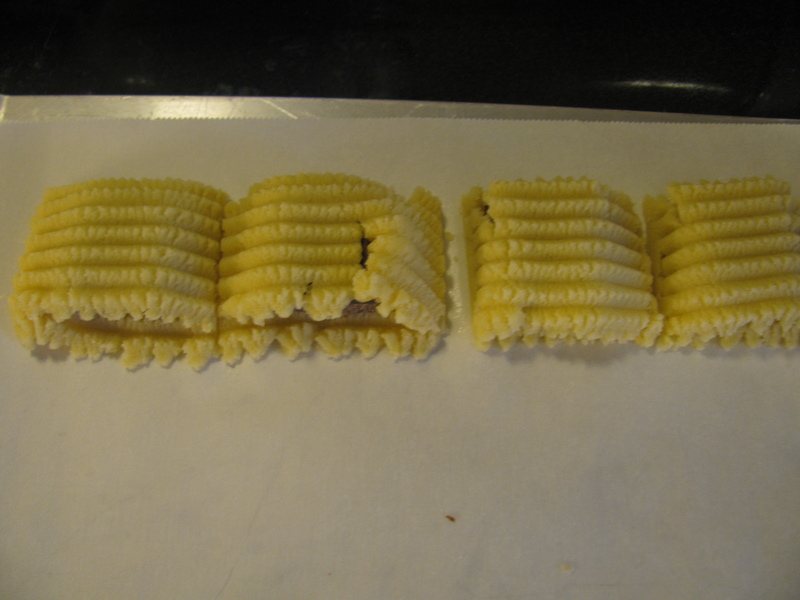 Preheat the oven and set out the butter, margarine and egg. Then go do something else for a while. 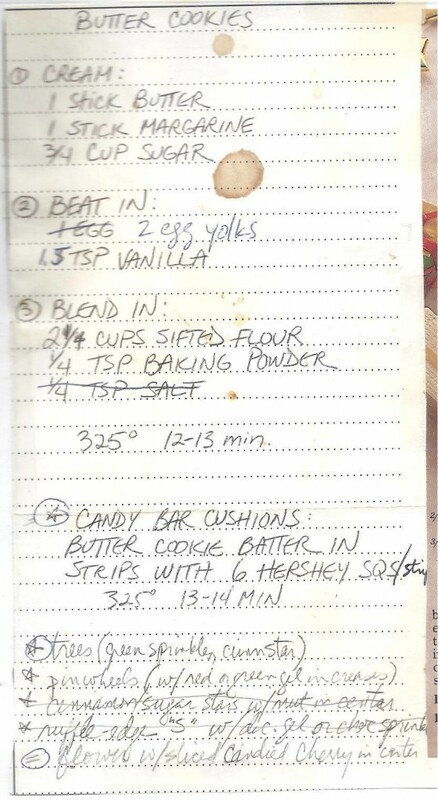 Put your feet up; you are about to perform cookie awesomeness, and you deserve it. 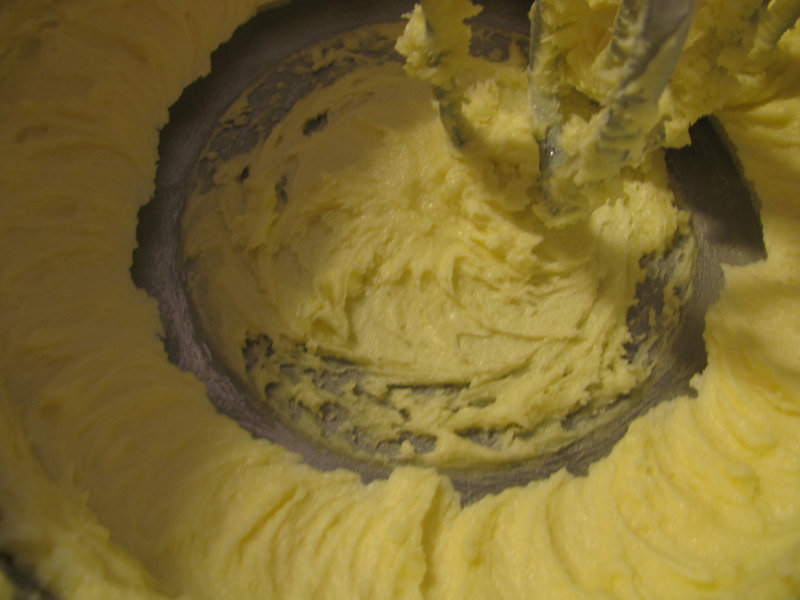 When the butter/margarine sticks are soft, dump them into the mixer bowl with the sugar. I know, big difference, right? 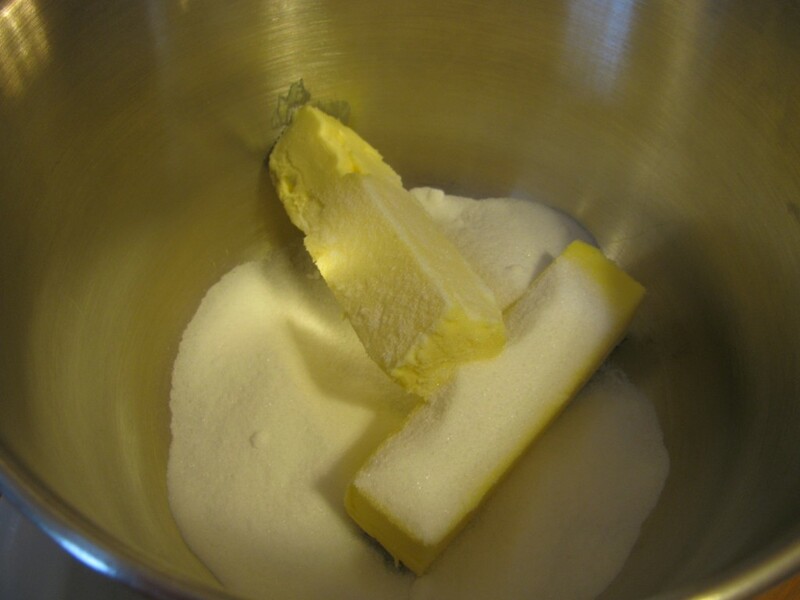 While the butter and sugar are working their magic in the mixer, you’re going to do a little sifting of the dry ingredients. Some folks say you don’t need to sift flour before using. 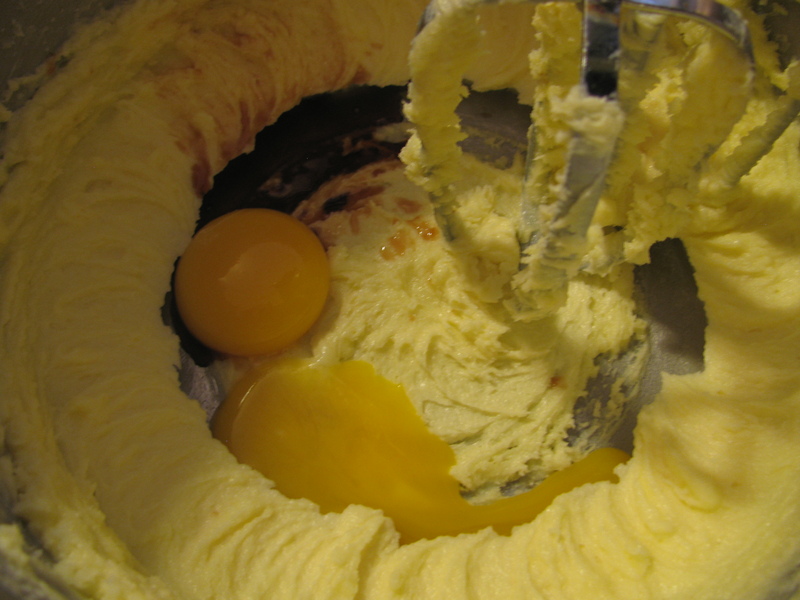 Personally, I’m a big fan of sifting. 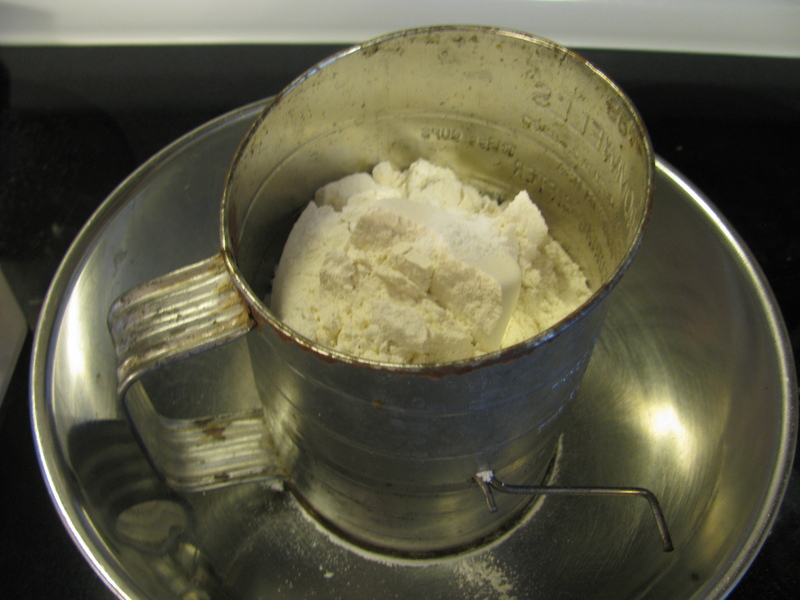 When I was a kid helping out in the kitchen, I got such a kick out of using the sifter that I would sift each batch twice. 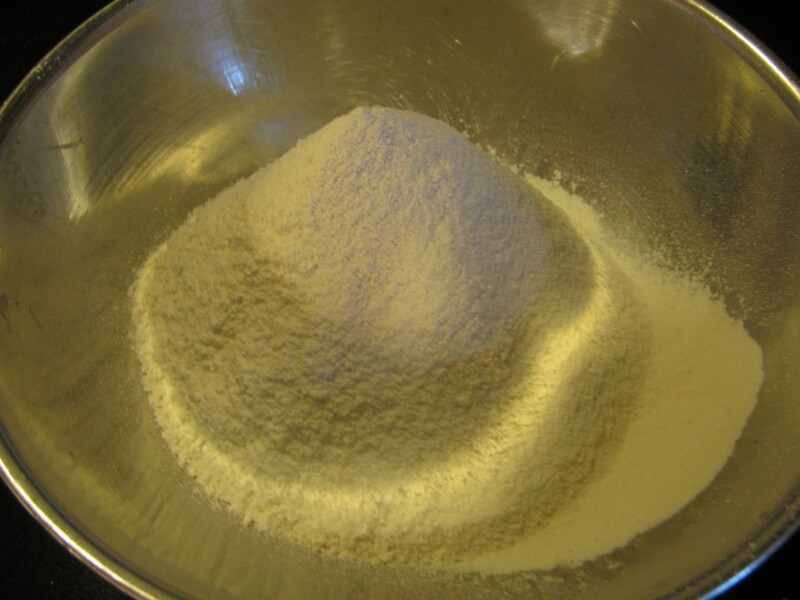 It’s a great activity for the kids to help out with – if you don’t mind a cloud of flour in your kitchen. Yep, I have the little crank-style sifter. The knob fell off the handle ages ago. See how nicely it turns out? Now I know the baking powder is incorporated. 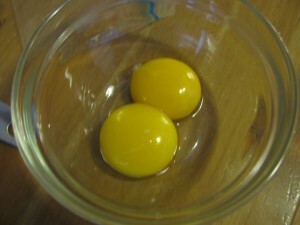 Next, you’re going to separate two egg yolks. 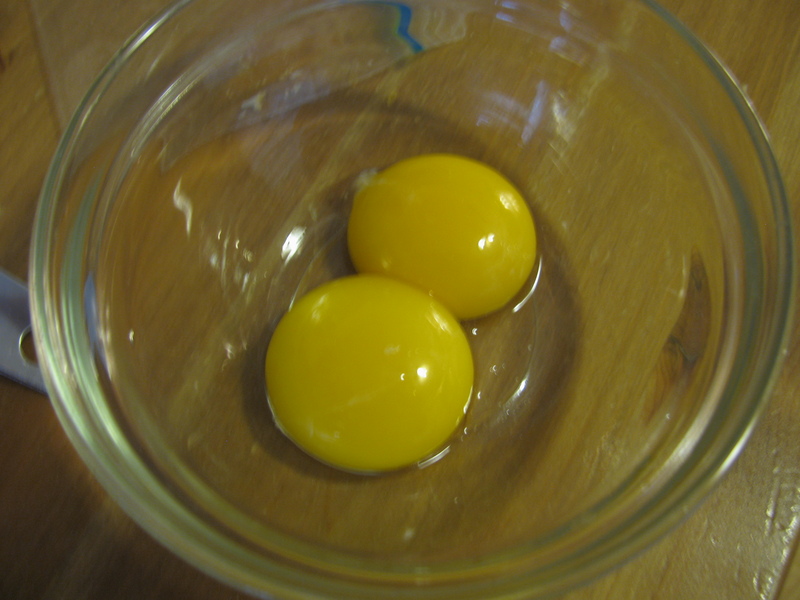 For tips on separating eggs (with pics), check out my Spiced Pecans post (except this time we’re keeping the yolk, not the white). Aren’t they just perfect little things? And once that’s nice and blended together, add the sifted flour/baking powder mixture, a little at a time. 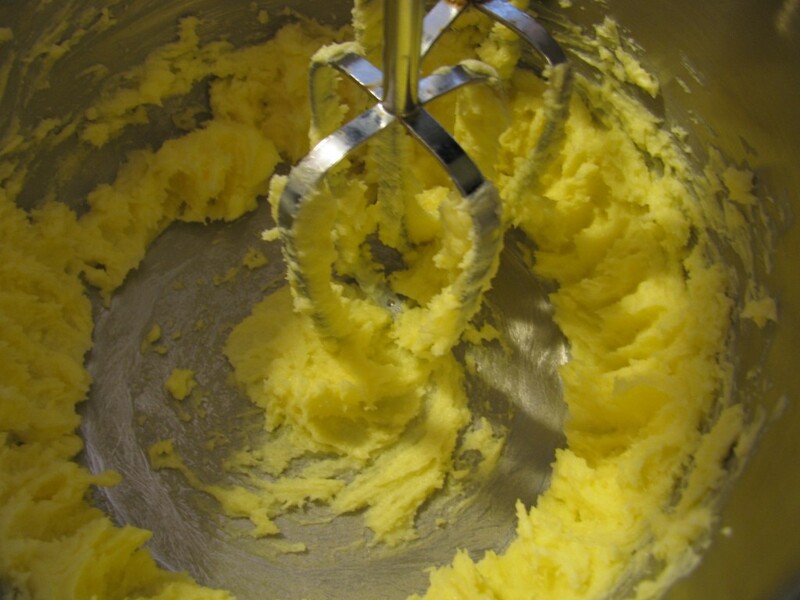 Keep scraping – that flour gets everywhere. Now it’s time for the fun part. This recipe is designed to stand up to a cookie press, so it’s time to load it up! 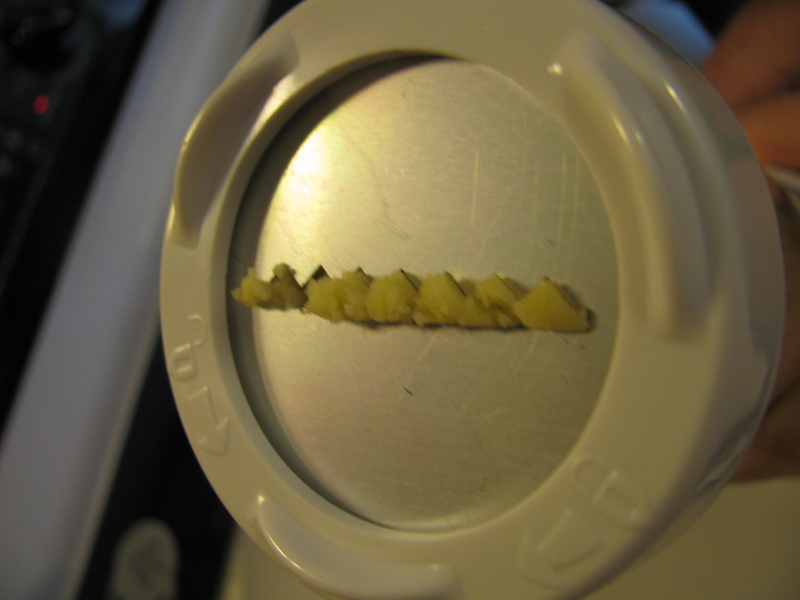 If you’ve been reluctant to use a cookie press, no worries. 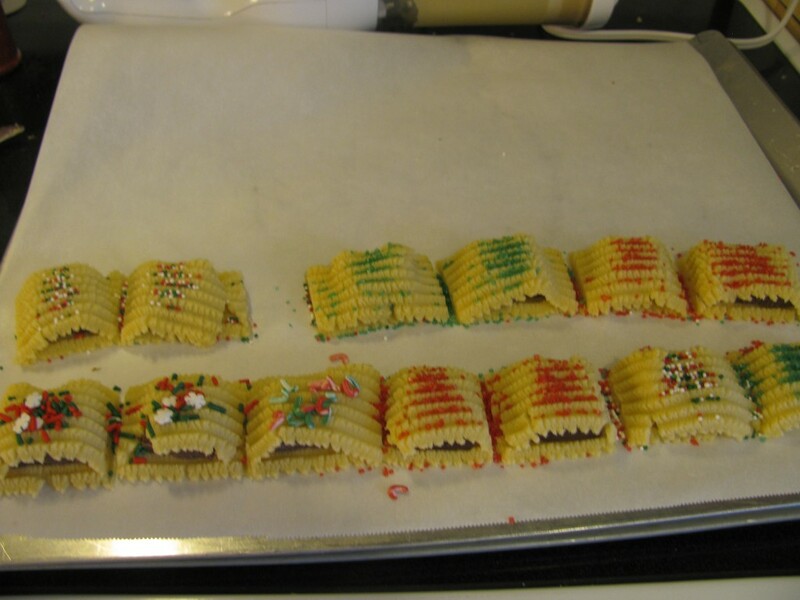 There’s a little bit of a learning curve involved, but it’s a fast way to make a lot of cookies. Quicker than roll-out and drop-style, once you’re in the “pressing zone.” Growing up, my mom was seriously into speed – she had to be, with the huge neighborhood demand at Christmastime. 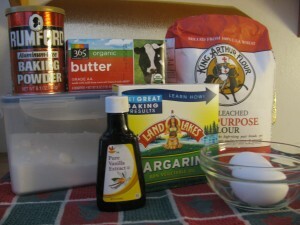 For more on our holiday tradition, check out my earlier blog post: Butterscotch Haystacks, and a story. There’s a bit of a press-release-lift motion involved, but once you get the hang of what works for you (I count to myself), it’s easy. 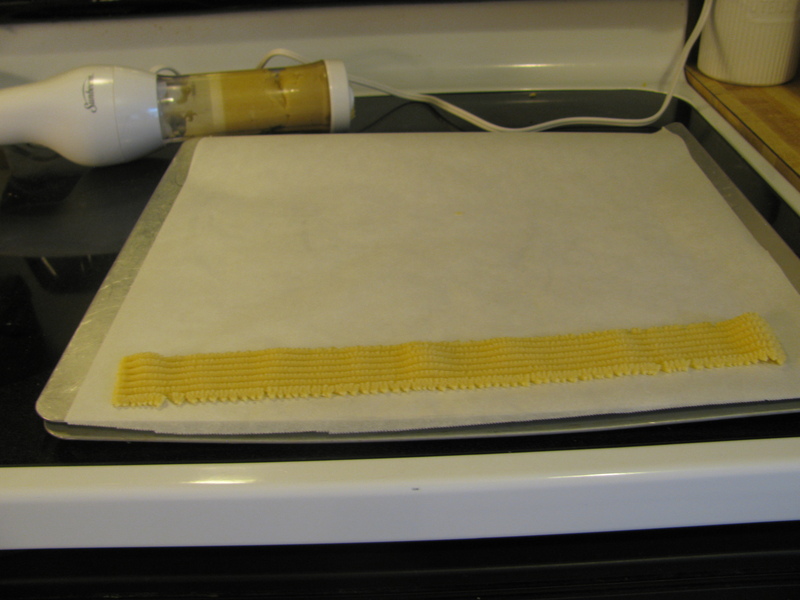 **Note: while you’re working with the cookie press, make sure you cover the rest of the bowl of dough with a damp towel, to keep it from drying out. 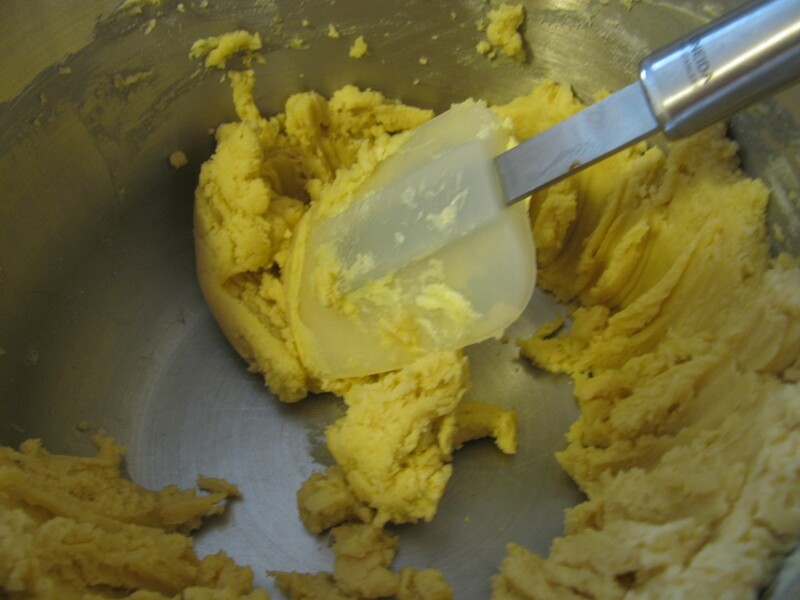 What I love about this butter cookie dough is that it’s so adaptable. In experimenting over the years with different variations, my mom came up with some really nice ones, including the runaway favorite that I’m going to share with you today: chocolate pillows, also known as candy bar cushions. Yes, I had to take a bite of this in order to show you the inside. Oh, the sacrifices I make. It’s fine if it isn’t perfectly straight. Darn! Broke one. My options: a) cobble the pieces together (it will be covered up, anyway, b) eat it, or c) let your kid eat it. 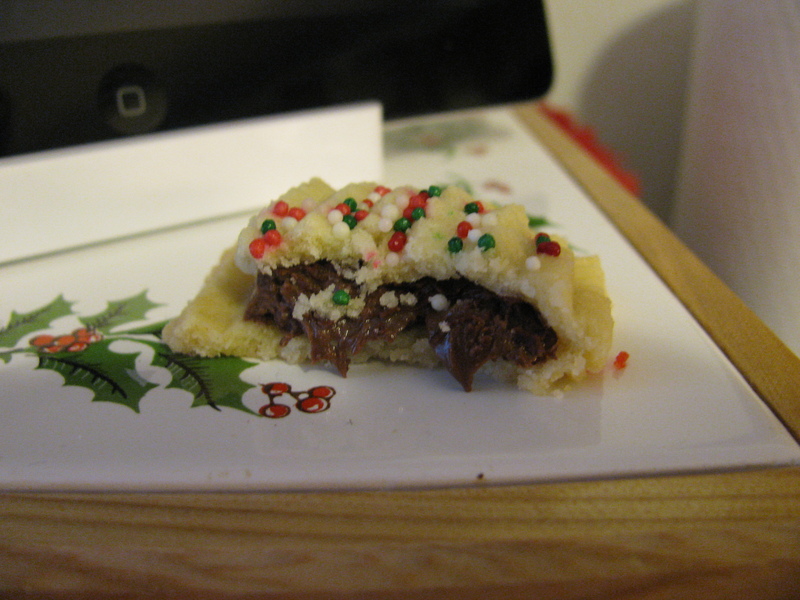 See that imperfect top on the cookie? Still yummy! I like to put sprinkles on top, but you don’t have to – there’s plenty of sweetness in this cookie. But it’s pretty. Just a little golden; not too much. Step AWAY from the cookies, and no one will get hurt. Here are other variations of the dough that I made today. Let me know if you want instructions for the others. I took pics while making those, too, but this post is getting too long! 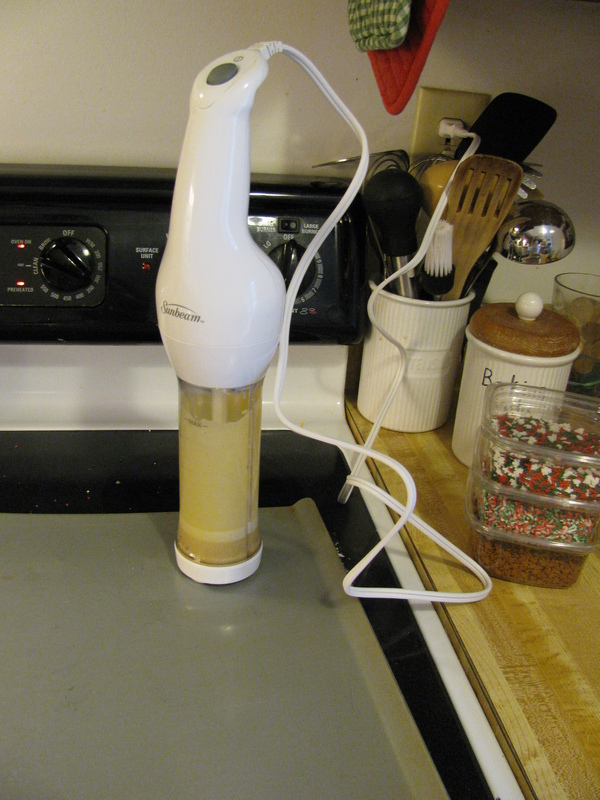 Have you tried a cookie press for your recipes? What’s your favorite cookie? I’d love to hear from you! What a great, basic recipe to play with! I love the idea of the pillow cookies, and am thinking I might have to pick up a dark chocolate bar at Trader Joe’s today and give them a try. Thanks so much for initiating this blog hop, Kathy. 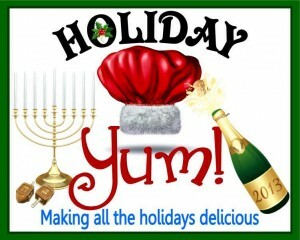 It’s such fun to learn about other cooks’ traditions, and get some great recipes and tips in the bargain. I know you’ll be rockin’ it, Tiffany! ROFL! Luv this post Kathy. Girl, you are hilarious! My favorite: Put your feet up; you are about to perform cookie awesomeness, and you deserve it. 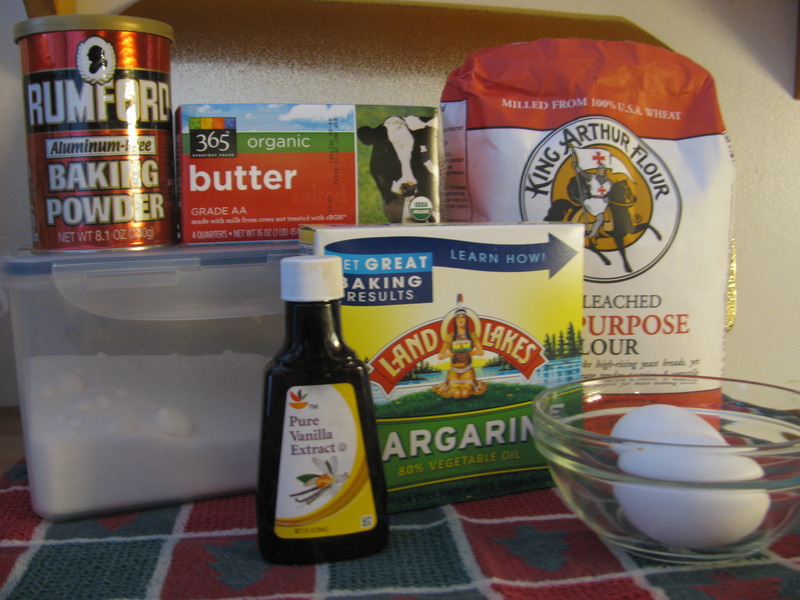 The recipe looks amazing and totally doable for even the most baking challenges of people. YUM!! Oh, Natalie, you always make me smile – thanks! They are delectable without being super-fancy. Cookie-baking is definitely appreciated at our house! 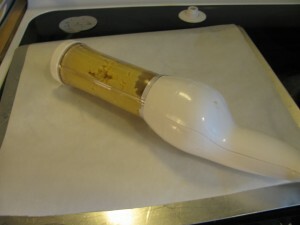 Ooooo – I want me a cookie press! That looks like a lot of fun. Does the little Army dude really work? I’m thinking my husband wouldn’t be too intimidated by him. LOL, Patricia, that was my 11-yo’s idea. Would be cool if it worked! Folks don’t usually drool over my posts, so I consider that a terrific compliment, Zack – thanks so much! If you do, Jenny, be sure to let us know! Please don’t forget those cool Corral Cowboy boots, but I put a cookie press in the right boot and a stack KB Awesomesauce Cookies in the left boot. 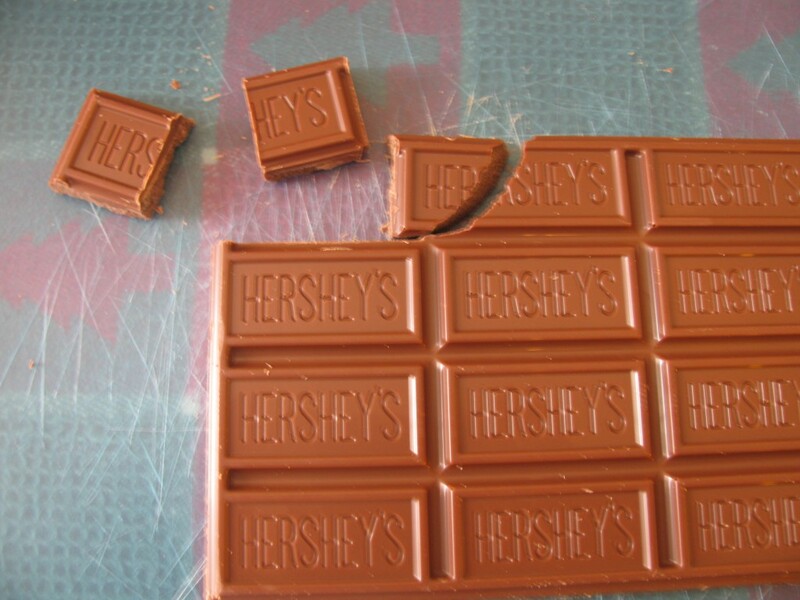 Hershey’s chocolate? Yum! <=== hint, hint, hint. You won't be sorry next year. Wish I could send you a tin of them! Kristy, better late than never! I’m so glad you stopped by, and I hope you get to try it! The Lego dude is optional. 😉 Happy New Year! 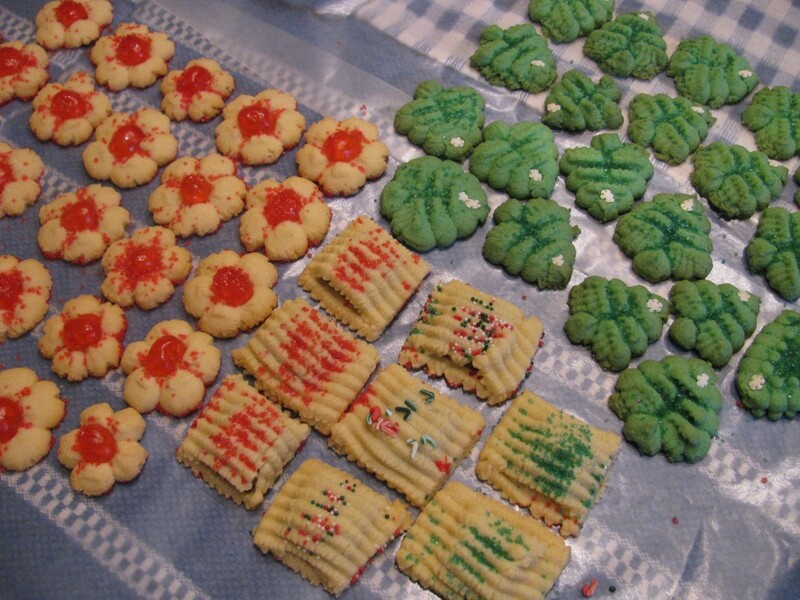 Holiday Yums: Natalie’s cookies, and tree decorating!